Sometimes we need a little extra help to look our best, and that's where concealers shine. All of the full size concealers are 1-1/2 teaspoons in a 10 gram jar. Samples are 1/8 teaspoon in a 5 gram jar except for Unblush which is 1/4 teaspoon. HD Concealer is designed to be an all purpose "hides whatever you'd like it to hide" concealer. It's slightly yellow tinted to help cancel out any redness, or dark marks. We've combined an all-natural vegan base with tons of pigment for great coverage, and state-of-the-art ceramic microspheres for line blurring. The texture is firm- not tuggy, or hard to blend, but firm enough to prevent most creasing. Shade selection: The shades are roughly equivalent to the cream foundation shades- you might want to go one shade up from your regular shade. Grab some samples! Note: In March 2014 we reformulated our regular Cream Concealers to be HD Cream Concealers because our original pigments were discontinued. We made every effort to match the ones previously on the site. The new HD formula is more pigmented, and has more staying power than the original. Peach HD Concealer is very specifically designed for dark undereye circles, and IT WORKS!! We've combined an all-natural vegan base with tons of pigment for great coverage, and state-of-the-art ceramic microspheres for line blurring. The texture is firm- not tuggy, or hard to blend, but firm enough to prevent most creasing. Shade selection: The shades are roughly equivalent to the cream foundation shades- you might want to go one shade up from your regular shade. Grab some samples! 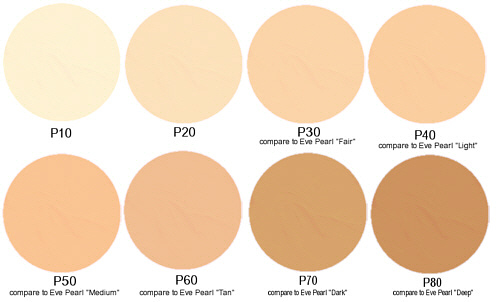 For comparison to the Eve Pearl colors- #30 is comparable to "fair", #40 is comparable to "light, #50 is comparable to "medium", #60 is comparable to "tan", #70 is comparable to "deep", and #80 is comparable to "dark"
Sleep In a Jar is a fantastic undereye concealer. It's formulated specifically to neutralize dark circles, and it has light diffusers to help hide any age lines. 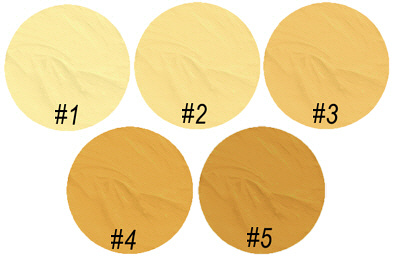 Shade Selection: We recommend going one shade lighter than your foundation. 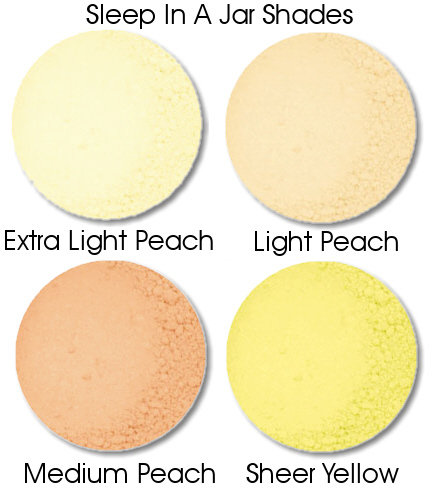 The yellow is completely sheer, and can be used by itself, or to help set cream concealers. It's also great for hiding redness. You can apply any shade either over or under your foundation.